Unwind with this all-natural design filled with calming French lavender. It's so easy to skip "me" time. You've got laundry, meal prep, emails. 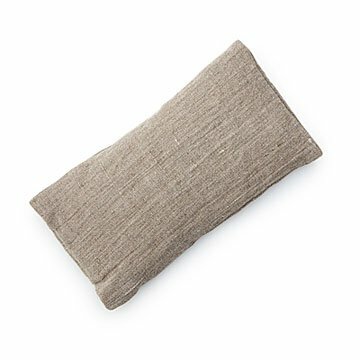 But try this: for two minutes (more if you have it), lay back with this soothing eye pillow and breathe. The all-natural design is filled with calming French lavender to help you unwind, and flax seeds that can be cooled in your fridge for a refreshing boost. Our favorite part is the pillow's simplicity. It's small enough to tuck in your bedside drawer or keep at the office for little breaks throughout the day. Send it to a friend who could use a day off or any loved one to help them invest in a little self-care. Made in California.